As the temperature begins to drop and the holiday season approaches, proper home safety is paramount. October is National Fire Prevention Month – a time when homeowners and families build awareness of the ways to prevent fire risks and keep themselves, friends and family safe. 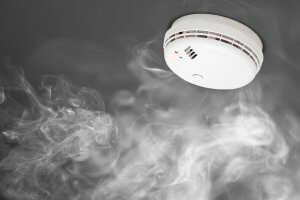 Install smoke alarms in your home. Smoke alarms save lives and play a vital role in reducing fatalities and injuries from a fire. While it is important to have smoke alarms installed in your house, it is equally as important to make sure they are working properly. You should test your smoke alarms at least once a month by pressing the test button – if they do not seem to be working, change the batteries. All smoke alarm batteries should be replaced at least once every 10 years. Smoke alarms should be installed on every level of your home, and outside every sleeping area. They should also be interconnected so that when one sounds, they all sound. Most of today’s smoke alarms are more technologically advanced and will respond to multiple fire conditions. Talk to your family about escape plans and update them as needed. Planning ahead can greatly increase your safety in the event of a home fire. 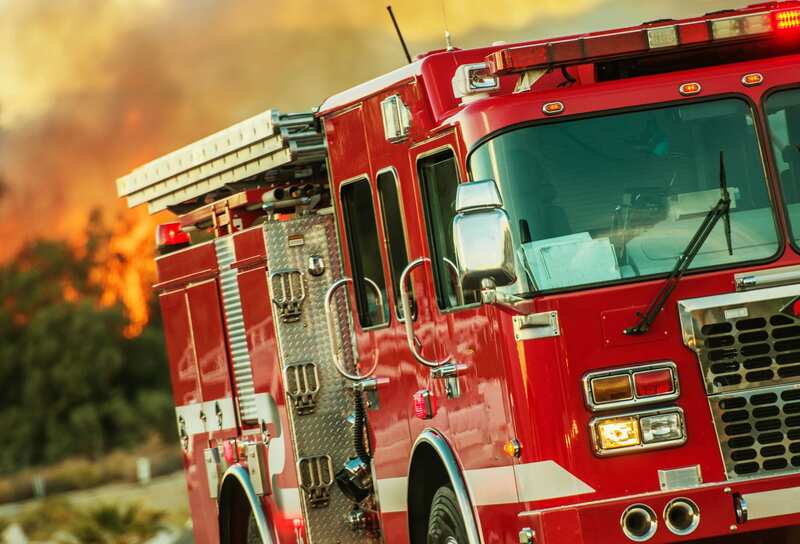 Fire spreads quickly in a home, which will only leave you minutes to get everyone out and away from the flames and smoke – which is why a set plan is critical. Gather your family and do a walk-through of your home to establish all possible exits and escape routes. Families with children should draw a map with two separate exit routes, including windows and doors. Make sure they also know that if a fire occurs, they need to get out first, then call 9-1-1. Keep barbecue grills, fire pits and portable generators a safe distance away from your home. Never use a grill, fire pit or portable generator indoors or in a garage. Use these items at least 10 feet away from your home at all times. Do not use any of these items, especially grills and fire pits, under enclosed surfaces that can catch fire easily, even if they are well ventilated. These items all produce carbon monoxide when in use and can be very dangerous to your family in enclosed areas as well. 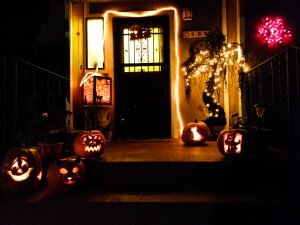 Stay safe with Halloween decorations. With Halloween around the corner, it’s important to be careful with your decorations. Keep candles away from open windows and curtains. When it comes to decorations that need electricity, make sure that you don’t overload your outlets as they can short out and possibly cause an electrical fire. The most important thing to remember if a fire does occur is to get out and stay out and call for help immediately! For more information on home fire safety and what you can do to prevent it, check out the American Red Cross website or contact your local fire department for any tips they may have your neighborhood specifically.